Grant writing is one of the most arcane, frustrating, and potentially rewarding tasks scholars face in the current academic environment. Though the workshop is aimed at graduate students and early career scholars, we welcome more senior scholars who wish to gain new insights and ideas or who are willing to share their own experiences. The discussion will be led by two faculty members who have had success in winning grants and fellowships. We will discuss how to look for appropriate grants and how to frame and write a successful proposal. How do we as humanists talk about our own forms of expertise? Indeed, how do we ourselves perceive those forms of expertise from the inside? How might we better articulate them to a broad public that includes prospective employers from outside the academic humanities? This workshop is designed to underscore the value of advanced study in the humanities to the wider world of work and the interested public. It will begin with an exercise to prompt participants to think capaciously about the forms of expertise they are developing as graduate students in the humanities. Based on this work, participants will then consider ways to describe these forms of expertise in a number of professional genres, including: "elevator pitches," LinkedIn, cover letters, résumés, and job interviews. Stacy Hartman is a project manager at the Modern Language Association, where she runs Connected Academics, a Mellon Foundation-funded initiative to broaden career horizons for language and literature PhDs. Prior to coming to the MLA, Stacy earned her PhD in German Studies from Stanford University, where she loudly declared in her third year her intention to not pursue a career on the tenure track. At the MLA, she has designed and taught a number of career exploration courses for PhDs, and she is also one of the institutional co-authors of the Doctoral Student Career Planning Guide, intended for faculty members and department administrators. She considers PhD career diversity to be not only a matter of concern for individuals, but also central to making humanities graduate education more student-centered, more sustainable, and, indeed, more joyful. Jim Grossman is Executive Director of the American Historical Association. Formerly Vice President for Research and Education at the Newberry Library, he has taught at the University of Chicago and the University of California, San Diego. He is the author of Land of Hope: Chicago, Black Southerners, and the Great Migration and A Chance to Make Good: African-Americans, 1900-1929, and project director and coeditor of The Encyclopedia of Chicago (2005; online edition, 2006). The forms and protocols of scholarly publishing may be undergoing rapid transformation, but the peer-reviewed monograph with a print option, published by a university press, remains a currency of choice in the humanities. In this workshop we will look at the current state of academic publishing and will seek to demystify the process of choosing a press, approaching an editor, submitting your manuscript, and moving successfully to publication. 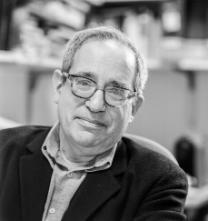 Jerry Singerman is Senior Humanities Editor at the University of Pennsylvania Press, where he acquires books in a broad range of Humanities-based fields, including late ancient, medieval, Renaissance, and Jewish studies, European and American literature, history and theory of landscape architecture, and history of the book.